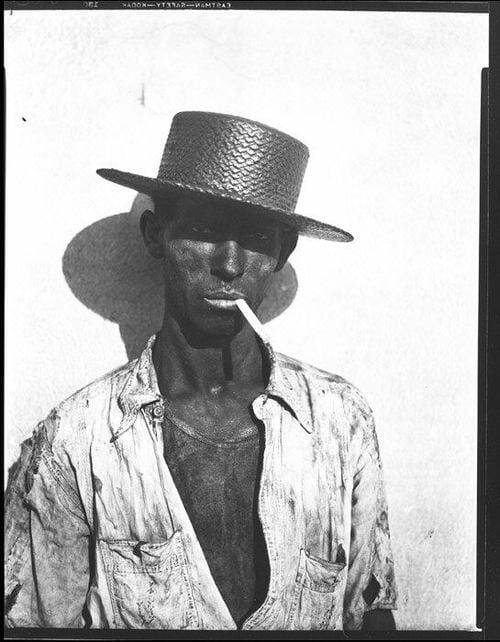 By the late 1960’s, the influence of Walker Evans on a younger generation of American photographers had proved to be as profound as it was subtle. For an artist who never sought disciples, Evans had acquired an extraordinary range of them, far beyond his university classroom. Although other photographers of his generation, such as Ansel Adams, acquired imitators, the transperancy of Evans’ vision allowed room for all kinds of personal expression. Emmet Gowin’s portraits of his wife and family in the candid light of the back yard in summer, Joel Meyerowitz’s surreally charged street photography, Lewis Baltz’s deadpan topographics, and William Eggleston’s apparently offhanded pictures of suburban Memphis were not imitations of Evans’ photography, but these artists derived from his example the courage to use the medium directly, to let its idiosyncrasies, its informalities, and its candor lead them to the distillation of their own private realities. All acknowledged his influence. John Szarkowski’s 1967 exhibition “New Documents” at the Museum of Modern Art, which introduced the work of Diane Arbus, Garry Winogrand, and Lee Friedlander, helped to demonstrate the currency of Evans’ photographic aesthetic. These three young photographers represented a new documentary approach, which Szarkowski described as “the belief that the commonplace is really worth looking at, and the courage to look at it with a minimum of theorizing.” Like Evans, they loved photography for its ability to reveal the subject in all its fascinating nakedness, to tell all but the moral of the story. 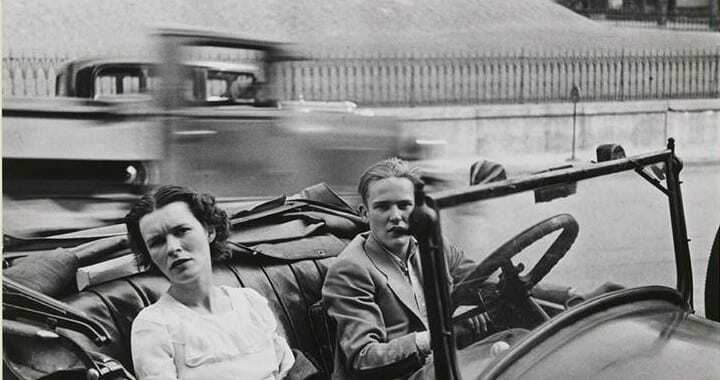 “Their aim has been not to reform life,” Szarkowski suggested, “but to know it.” Among this generation of photographers, too young to have seen the exhibition “American Photographs,” a new edition of the book was urgently in demand. YOU MIGHT ALSO LIKE: JOSEF KOUDELKA: "Czeslaw Milosz on Josef Koudelka's Exiles"
To pay for the archival research and darkroom work necessary to review Evans’ career, Szarkowski won a grant from the New York State Council on the Arts. Charles Rodemeyer of the museum staff was given the task of proof-printing two of everything. While Rodemeyer worked at the museum, Jim Dow, a recent graduate of the Rhode Island School of Design, helped Evans sort and retrieve old negatives and make exhibition prints. 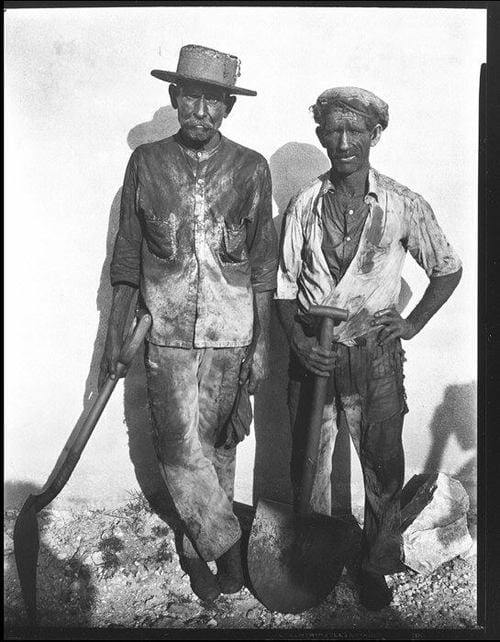 Dow had been in awe of Evans ever since he had seen American Photographs as a student of RISD. With his classmate Emmet Gowin, he had made Evans the subject of a graduate paper and had studied in depth the prints Evans made for the Resettlement Administration. Having just inherited a small fortune from his father, he volunteered to work for Evans in exchange for one set of new exhibition prints rather than wages. Arnold Crane, eager to participate in the great event, suggested that the museum show only vintage prints; it was welcome to borrow them all from his collection. By this time, Crane said, he owned eleven or twelve hundred prints. But Szarkowski, who had seen selections from Crane’s collection on view at the Sidney Janis Gallery, remained unconvinced. “There were an awful lot of bad prints in that show, I thought. They were vintage, all right. They were mustard colored, peanut-butter colored, faded… And here and there a pretty good print. 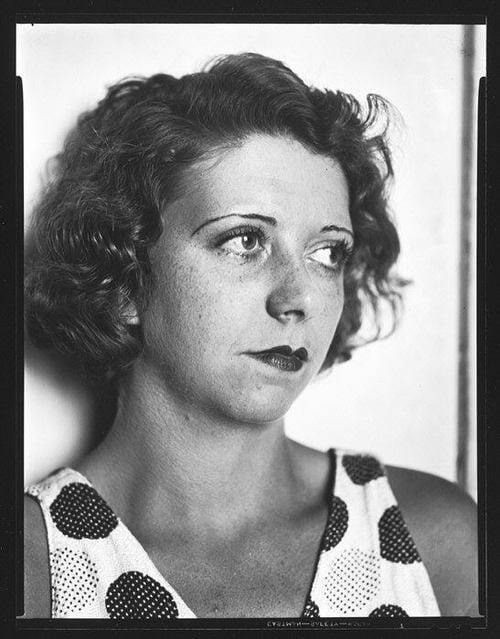 I saw no reason to get involved.” Evans agree with Swarkowski: “Walker didn’t care if they were old prints or new prints, as long as he felt they were good.” The exhibition would consist of modern prints made under his supervision and vintage prints from his own and the museum’s collection. Dow quickly learned how difficult it was to make a successful print from one of Evans’ negatives. Though Evans had never considered himself a technician, over the years he had developed his own refined approach to processing his pictures, which was difficult for anyone else to follow. His negatives were of widely varying contrast and density; each one seemed to require its own chemical formula. When Dow took his efforts to the museum, Szarkowski told him he was on the wrong track. The prints had too much contrast; it was as if he were making them for the more abstract photography of Harry Callahan, his former teacher at RISD. Evans’ work called for an entirely different chemistry. Dow learned that at one point Evans had used a formula called Amidol, a “compensating” developer. He managed to find a paper that had approximately the creamy white quality of the kind that Evans had used in the 1930s, Illustrator Special Azo. Over time and with practice, Dow learned to bring out the subtler contrasts of a soft-grade paper, to “dodge” and “burn” the negative under the enlarging lamp to achieve the luminosity and softly graded gray scale of Evan’s best prints with a similarly apparent effortlessness. As Szarkowski brooded over his picture selection, he realized that the bulk of Evans’ work since 1938 was much less impressive than he had expected. However, there were forgotten treasures of the early 1930s – the dockworkers in Havana, the Victorian houses in Ossining and upstate New York, the DeLuze house in Truro. And the eighteen month period Evans had spent working for the FSA in the mid-1930s had been even more productive than Szarkowski had thought – “an astonishing creative hot streak,” he had called it, that had never been fully treated. Many photographs that had not been published in either American Photographs or Let Us Now Praise Famous Men deserved to be seen. Ultimately, Szarkowski fulfilled the form of a retrospective survey, selecting photographs as early as those published in the Black Sun edition of The Bridge, circa 1930, and as late as those of the Cogeshalls’ bedroom in Newcastle, Maine, circa 1967. But nearly half the exhibition space was devoted to the unpublished wealth of Evans’ classic period, 1935-36. Meanwhile, the reissue of American Photographs would have to be postponed for budgetary reasons. Evans greeted Szarkowski’s suggestions with an open mind. He enjoyed the rediscovery and reinterpretation of pictures he had made more than thirty years earlier. 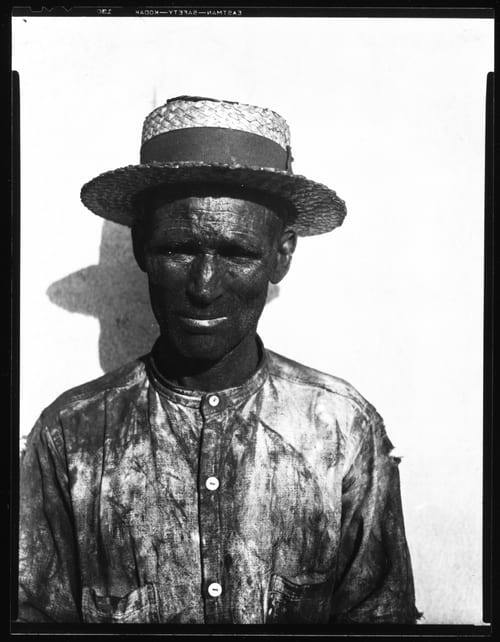 In his choice and order of photographs, Szarkowski presented an artist less studied and self-conscious than the one Kirstein had attempted to create in American Photographs. Whereas Kirstein had compared Evans’ photography to poetry, Szarkowski was more inclined to agree with Evans’ recent claim that it was “strictly prose.” He regarded Evans as an interpreter of an era that was now history, and as the creator of “a new set of clues and symbols, bearing on the question of who we are.” Furthermore, he was attentive to the sequences of the artist’s development. Instead of placing each photograph as an amplification or inverted symbol of the next, as they had been in American Photographs, and keeping the specifics of its time and place in the back pages, Szarkowski’s sequence moved through town and country in roughly chronological order, with title and date directly below each picture. Posted in Documentary, Essays, Masters and tagged Belinda Rathbone, Documentary Photography, Essay W, Popular Walker Evans, Social Critique, Walker Evans.